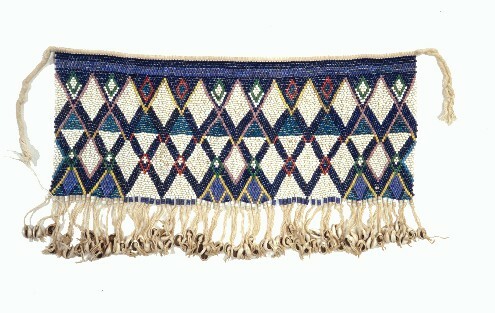 The geometric patterning on this skirt exemplifies the skill found in northern Cameroon. It typifies cashe-sexe jewelry worn by women of high social status for ceremonial occasions. Children may also wear the skirt as well. However, boys cease wearing them after puberty. The skirt also functions to protect against evil. Bibliography: Kennedy Museum of Art, 2002; Stevens, 2002.